Copy and content are a huge part of connecting with and selling to our target market. What are the foundational pieces of content we have to develop before we do anything else? What are some of the key steps often missed in writing content and copy? How do we address these gaps by understanding our audiences, both mentally and emotionally? 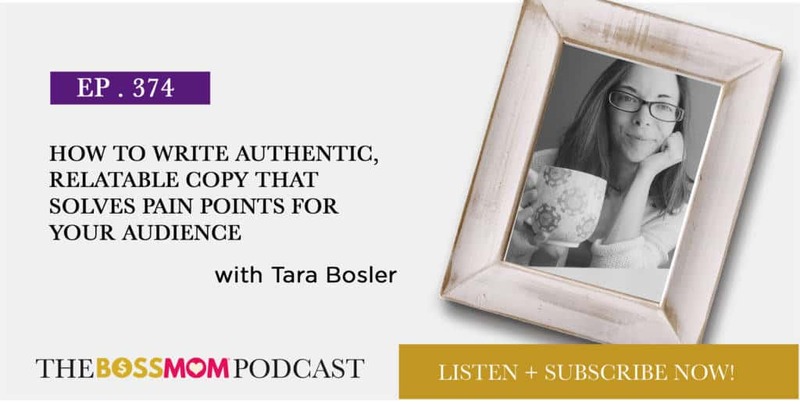 On this episode, Tara Bosler shares on how we can write content that relates, helps, and converts. It’s important to stay plugged into the issues your target market is facing. Even if you started off as your target market, becoming successful takes us further away from that emotional base. This can make it hard for us to write in a way someone facing that problem can relate to. You have to constantly go back to that emotional base to know where they are and what are they experiencing right now. The closer your language is to the language they’re using in their head, the more successful your copywriting will be. Authenticity is about consistency and relatability. It’s all about being clear with yourself, first and foremost. We have to know who we are and show up unapologetically. You can’t tap into what the audience is thinking and feeling if you’re not tapped into what you’re thinking and feeling. If you don’t tap in, you’ll always comes off as surface level, and you won’t have a brand that people will fall in love with. Some of the key steps between someone becoming interested in what we’re talking about, and actually investing in what we sell are the limiting beliefs that stop them from taking further action. We have to understand not only what they want at the end result phase, but also what they believe is possible. If they don’t think something is possible, they won’t invest in it. When it comes to writing copy for our businesses, we tend to get excited about the flashier pieces of content like sales pages and social media copy. However, the very first thing we need to do is be clear about who we are, our message, mission, vision and manifesto. That foundational copy allows us to drill down to the things our target audience thinks and feels, and how we can answer those questions. It all starts with us being authentic. It’s not about creating a brand and trying to become that brand. It’s about being “you”, and then building your brand around that. Tara is a copywriter and content creator for creative women entrepreneurs. She is in love with her extroverted daughter, her nervous dog, writing engaging sales copy, and hot, hot coffee. Loved the show. 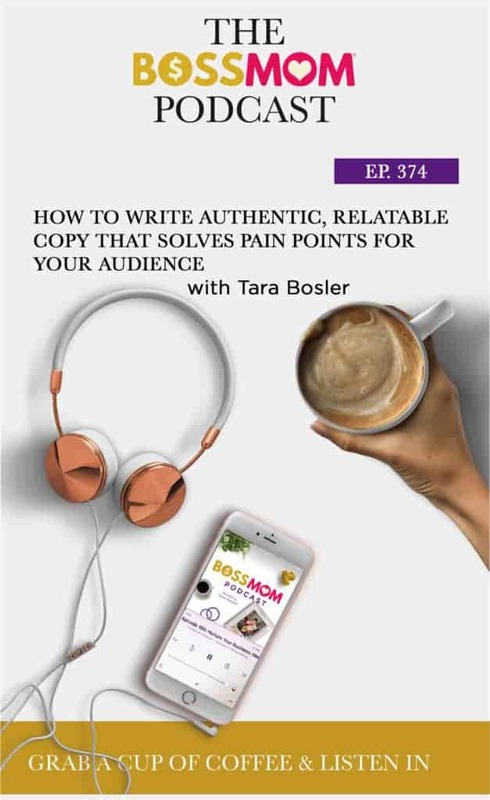 My wife listens to Boss Mom all the time, so I get to tune in sometimes, and I loved what you were talking about in regards to exposing yourself on copy. I am a leadership developer (a coach) and when I first began, I had a surprisingly difficult time getting over the hump of being vulnerable in public and sharing my own story (how much is too much etc…). Thanks for talking about it, I really enjoyed listening!